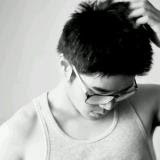 Featured on Vogue and the 2012 RAW Award winner, Irvin Rivera’s stunning photography is taking Los Angeles by storm! This brilliant, self-taught celebrity photographer is the talk of LA! Alex Graham: Please tell us about yourself and Graphic Metropolis? Irvin here, a self taught fashion, commercial and portrait photographer based in Los Angeles, California. I, together with some friends and creatives, represent Graphics Metropolis. Graphics Metropolis is a brand name I came up with when I started to consider taking photography into another level. Instead of using my name-photography as a brand name, I thought of something that could cover the bases of what I do, and also something that could yield an easy recall in people’s heads. Alex: What do you enjoy about being a photographer? Irvin: Being a photographer pushes me to exercise my creativity to new heights. It enables me to create and recreate worlds, ideas, and feelings. It allows me travel to places. It allows me to meet and interact with different people and interpret their layers of complexities. Photography allows me to tell stories in many ways. It is kind of spiritual. It’s not just an art, not just a journey, it is something really personal. Being a photographer means being able to time travel on your own. That’s what I love about it. Alex: You are a brilliant self-taught professional photographer. How do you educate yourself to take better pictures? Yes, I am self-taught but I wouldn’t be confident enough to say that I am brilliant enough like the masters in the various fields of photography. Hmm, I keep shooting photos. Just keep taking photos. I believe that is how you continuously develop your eye and your style. Take note of other photographer’s work and always see the trends (especially if you want to take fashion as your niche). Never ever be content. Never be afraid to experiment. Alex: In your opinion, what makes a good picture stand out from the average? Irvin: A good picture awakens the senses. It moves you. It may disturb you, or amuse you, or puzzle you, but if it evokes and stir something inside you, I believe it is a good picture. Alex: Among your works, which one is your favorite? Why? Irvin: The girl wearing a red dress on the street is still my favorite. It is one of my earliest fashion shoots and I was with amazing people that day. That image helped propel my portfolio. Alex: Who are some of your favorite photographers and why? Irvin: Avedon for his timeless, classic attack. Leiboviz for her dreamy, modern style. An Le for his visions and the soul of his images. Alex: As a professional photographer, what areas would you like to expand into or experiment with? Irvin: I would love to learn more about digital manipulation and video editing. Alex: What can we look forward to from Irvin/Graphics Metropolis in the New Year? Alex: Thank you very much Irvin! It has been my pleasure. Looking forward to more fantastic photography work from Graphics Metropolis in 2013! Check out A Behind the Scenes Look at a Photo Shoot by Graphics Metropolis!